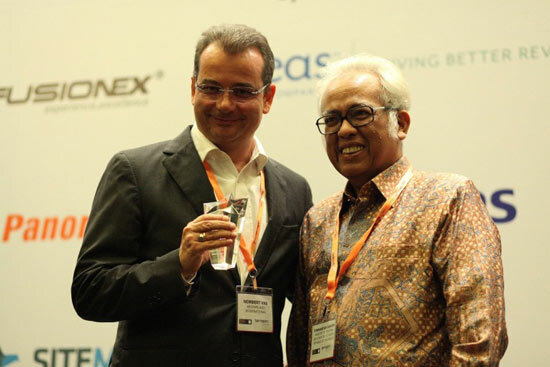 Jakarta, March 28th 2013 –During this year’s Hospitality Investment World Indonesia Conference, Archipelago International’s well-liked favehotel group was awarded the prestigious, “HIW Best Economy Hotel Chain 2013 Award”.. The HIW (Hospitality Investments World), which is supported by the Ministry of Tourism and Creative Economy, is Indonesia’s foremost annual tourism investment forum bringing together senior hospitality industry representatives, investors, operators, developers, government representatives and the banking sector to analyze and dissect opportunities for infrastructure investments into Indonesia’s growing tourism industries. One of this year’s HIW’s highlights was the annual HIW Economy Hotel awards ceremony. Amongst many successful budget hotel groups three finalists, mainly Pop Harris, Amaris by Santika and Archipalago’s favehotels where nominated to receive the honors with favehotels making the final cut as Indonesia’s Best. A panel of international and Indonesian judges awarded the honors to favehotels based on its role on the forefront of the Indonesian budget hotel sector and its industry standards redefining influence and popularity. Seen in the picture (L - R): Mr. Norbert Vas - Vice President Sales & Marketing of Archipelago International & Mr. Firmansyah Rahim - Director General of Tourism Destination Development from Ministry of Tourism and Creative Economy of Republic Indonesia.